I can’t believe that this is the first week of October. I can’t even begin to express my excitement as this month will probably be the busiest, most insane and stressful yet also most relaxing month of this year. At the end of the month, I’ll be working a dietitian trade show called FNCE that is being held in Chicago this year. A ton of my friends from Instagram and the blogging community will be there and two of them will be staying with me! Another friend from Instagram is visiting this weekend and then on October 26th I’ll be heading to New York City for a 4 day weekend getaway. Guys… I cannot wait. My list is already a mile long but if you have any recommendations (that aren’t By Chloe, y7 or The Butcher’s Daughter) send them my way… preferably all of the cool coffee shops! 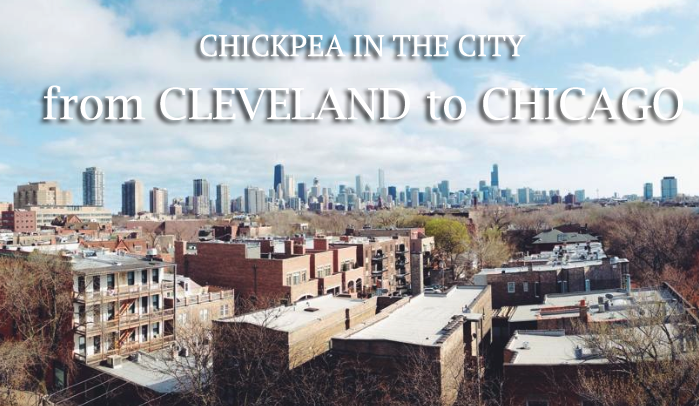 While I’m on the subject of coffee shops and spots to visit in a new city, ever since I posted my last guide to Chicago I’ve been thinking of so many other places that I’ve wanted to share with you guys! So, here it goes… my new and renovated list of Chicago spots that I either love or have been wanting to go to and hopefully will soon. If you guys know my obsession with oat milk lattes and want a different option besides Intelligentsia Coffee, you should check out Caffé Streets. They sell Time Machine Pressed Juice (a local juice company that sells their product in Chicago coffee shops), RXBars for snacks, fresh baked pastries and have 5+ different unique latte flavors such as turmeric, banana and matcha. They’re located on the border of Wicker Park and if you’re feeling fancy, walk down the block and hit up Intelligentsia after. P.s. They have outdoor seating and their interior has the coolest wooden ceiling. Photo opp worthy! I feel like I live in a society overflowing with donuts. Literally donut shops are so trendy now and sometimes, I don’t really understand it besides the fact they’re pretty to look at. There are numerous donut shops all over Chicago but not many with gluten-free or vegan options which I tend to aim for so I don’t feel as sick after eating one. When I was in the West Loop earlier this summer, I stopped by Do Rite Donuts’ new location and grabbed one of their vegan maple chai donuts and it was so delicious. Perfect consistency and the glaze was just thin enough but I will say – it tasted super super sweet. Like cake. If you’re a donut person though – they have TONS of options from blueberry crumb to cinnamon crunch. Nom! For those who don’t want to hike to the West Loop – there is a location in Streeterville as well. Oh my god you guys! This place. My dream! If you have a fancy or special occasion coming up in the future you need to book this place for dinner… also book it out at least two months in advance because reservations fill up QUICK. I knew about this place since day 1 of living in Chicago (back in 2013) but never made it until this past June for my roommate’s birthday. The focus of the menu is on small plates ranging from calamari topped toast to roasted pig face and blueberry pickled corn bread. Another bonus is that they source from local farmers *heart sings*. We ended up being served by a friend of a friend who brought us out their chickpea fritters which were my favorite dish (they no joke tasted like mini cheesecake bites), along with their cauliflower with pine nuts and mint… could have eaten it by the pound. It is located right on Randolph Street in the West Loop and has sister restaurants including Little Goat Diner (beautiful interior, best for breakfast/brunch) and Au Cheval (voted one of Chicago’s best burger spots and has a 2+ hour wait usually) – both of which I’ve been dying to try. Au Cheval has a gluten and dairy-free menu, too! I’m not going to lie, this is not one of the top spots I usually recommend to people just because for lack of a better phrase… it is so basic. However, in the midst of a brutal Chicago winter or on a dreary weekend, the interior of this place is magical and definitely can warm your soul! It’s a good option for brunch and owned by Lettuce Entertain You restaurant group. Did you guys know I used to be a host for one of their restaurants called Beatrix? Another tasty option for health-focused food! Anyways, right when you walk in they have a huge pastry and coffee counter with tons of MASSIVE cookies with rice crispy treats stuffed inside and housemade english muffins. Other options I would go for: the smoked salmon hash brown benedict, roasted vegetable hash, scrambled egg sandwich and caramelized brussels sprouts. I absolutely love markets like Publican that serve high quality, fresh and local products – especially meats. You guys, I went here for the first time in June and I swear to god – best turkey sandwich I’ve ever had. They have a small breakfast and lunch menu (including an avocado toast with sausage and scrambled egg) but if you’re deciding on a time to go, head for a late lunch so it’s not as busy and grab the “NO WAY!! !” (avocado, kale, sprouts, and miso peanut dressing on multi-grain) but add their smoked turkey. You can also add butcher’s steak OR smoked salmon. Dreamy situations, I know I know. This cute french inspired café was actually designed by the same folks who did the interior for Summer House Santa Monica and Ema. I wasn’t surprised when I found this out considering how photogenic it truly is. I first went here a few weeks back with my friend Sam who had been previously to try all of their amazing and decadent croissants, pastries and french macarons. It’s essentially a modern french bakery with sit-down seating, juice served from Harvest Juicery, almond milk lattes and my all time favorite dish: two thick slices of avocado toast with sweet potato cubes and two poached eggs on the side. Their menu isn’t available online but you can creep on their pretty little Instagram right here. So I don’t really eat dairy that much but when I do – I go ALL OUT for Jeni’s. Jeni’s is based out of my home state of Ohio (Columbus but I’m from Cleveland) and I’ve been eating it since I was in high school. There’s one location in the cutest little town of Chagrin Falls (a suburb of Cleveland) and I used to make my friends go all the time in high school. I liked it even before I was into high quality ingredients and flavors of food but now that I’m into that kind of thing… I’m even more obsessed with Jeni’s. There are currently not one, not two or three but FOUR locations in Chicago so you can pretty much get it anywhere you want in the summer. When the fourth one opened last month in Chicago, you better believe I was there. I also met THE Jeni and she is such a charismatic, sweet and old fun loving soul. Seriously what a gem. If you go, get two scoops in a waffle cone OR get the taster’s trio in a cup with a waffle piece stuck on top (make sure NOT to say a waffle or they will legitimately put a cone on top). Favorite flavors: Pistachio and Honey (it’s actually my favorite dessert in the world) by itself, Roasted Strawberry Buttermilk paired with Salted Peanut Butter with Chocolate Flecks, Brambleberry Crisp paired with Ndali Estate Vanilla Bean OR Wildberry Lavendar by itself (it tastes like Fruit Loops which kind of weirds me out but I enjoy it). I can’t believe I haven’t posted about this restaurant before but it’s a few blocks west of the West Loop kind of all alone by itself on a corner on Lake Street and it sure is a beauty. I first found out about it through my friend May and after seeing tons of Instagrams of this palm tree wall, I knew I had to do a shoot there. I grabbed brunch with my friend Jill one weekend here and unfortunately haven’t been back since but have heard nothing but good things on their dinners! My brunch of an eggs benedict with crab could’ve been better for the price ($20) as it was super tiny but the perfect portion to not me feeling overly stuffed. Lamb and beef meatballs with tahini? Yes. Salmon crudo with nectarine and chive? Hello! Grilled baby octopus with forbidden rice? Sold. This definitely is a place to take your parents if they’re visiting because it is #pricey. If you’re from out of town and you’re looking for a cute breakfast spot that isn’t filled with tourists and has a gorgeous, bright and welcoming aesthetic – this is your spot. I first went here with May almost two years ago when we were just becoming “blog friends” and we had the most wonderful spread. They even brought us out one of their housemade waffles with berry compote and it was the best thing ever. They serve Big Shoulders Coffee, Intelligentsia Espresso, and Kilogram Teas – along with a pretty nice cocktail set up come dinner hour (there’s one called Lost In The Garden that has lime, rosewater and cucumber bitters I am dying to try). My go-to picks: avocado toast with toasted almonds, red chili, mint and a farm egg or the winchester club with smoked turkey, bacon, swiss, avocado, aioli and greens. RG has always been a fan favorite of mine from their coconut yogurt parfaits to their “punky juicester” which is essentially a matcha latte with chia seeds, mint, chlorophyll and homemade almond milk – everything is REAL GOOD. They have tons of locations in multiple Whole Foods stores across Chicago with a few flagship locations as well. I have one in my neighborhood so I’m always grabbing their almond milk latte for breakfast with a side of their avocado toast on gluten-free bread and housemade almond cheese (dairy-free). But the real deal that I love? Their newest menu add-on which is “NOYO FROYO”. It is their dairy-free, vegan and gluten-free dessert that is essentially “froyo” made from their nut milks and sweetened with just a touch of maple syrup + coconut nectar. It’s ONLY at their Old Town flagship store and they usually only have 2 flavors but it’s so worth the hike! It’s a mini market inside with tons of local goods and outside there is a little seating area to have breakfast and sandwiches. Definitely your simple café with nothing really fancy but a good spot to grab a bite to eat if you’re in the neighborhood/on Southport. My picks: the breakfast sandwich with ginger-sage sausage, arugula and a fried egg on an english muffin or their unique cupcake batter pancakes made with gluten-free cupcake batter. How freaking cool! One of my favorite spots to take family and friends from out of town because it is so picturesque and makes me feel as if I’ve been teleported to an island oasis or on the French Riviera. They have lunch, brunch, dinner, dessert, cocktails and during restaurant week (usually during the winter) they have some of the best prix fixe menus. The lighting in here is phenomenal and their bar in the center of the bar is absolutely breathtaking! If you’re looking for a brunch spot in Chicago that isn’t a tourist trap, head to Logan Square and check out Longman & Eagle. I’ve only been once but it’s a super cute space with super unique dishes. They’ve got a duck egg hash with duck confit and a black truffle vinaigrette and my favorite: their quiche with seasonal veggies and caramelized onions. Remember when Sprinkles Cupcakes was super trendy and everyone was ALL over it? It was pretty much the spot for me when I was a tourist, before I moved to Chicago. But now, the cool thing is Stan’s Donuts. They have a few locations in Chicago from Streeterville to Wicker Park but each one is an Instagrammer’s dream: pastel colored Kitchenaid mixers line the walls and they have vegan and gluten-free options! I still have yet to try it but I’ve heard magical things. With that being said, Coalfire has 2 locations in Chicago… one in Southport which is a super family friendly area and very low key. I haven’t been to this spot either but it is on my list so I want it to be on yours as well! What I will get when I go: The Vegan Pesto Pizza and add for $3 their veal meatballs. Now I’m drooling. Another Chicago neighborhood friendly gem is Homeslice. A super trendy spot in Lincoln Park to grab pizzas and beer with friends on the weekend, they have tons of options including gluten-free, vegan cheese alternatives, meatball pizzas (if you guys know me you know I love meatballs) and marinara-only pizzas if you want to go dairy-free but hate vegan cheese (like moi). This place is one of my absolute favorites in the city for an avocado toast or brunch with friends. It’s apart of The Robey Chicago (a hotel in Wicker Park) and is situation on the corner of a four way intersection. Their menu is too good – you can add an egg or crab meat to the avocado toast and I recommend doing both. The Robey is one of those spots that literally puts a whole avocado onto your toast… they don’t mess around. Other options I would recommend: their duck hash or bagel & lox. A true gem in Logan Square, I absolutely love TKR. They source all of their kombucha from local brewers and have kombuchas on tap from Toledo, OH, Chicago, IL and even some from Indiana. The space is quite small with a bar right in the front and four small tables to sit at. They offer all natural, gluten-free and vegan snacks such as a baked good of the day made with one of their kombuchas on tap. When my intern and I visited, they had mint matcha cupcakes made with their mint kombucha like okay how cool is that!? My favorites were their blueberry lavender and pumpkin chai. If you like super sweet, go for their gummy bear one (my friend Erin recommended it to me). Ps they also host a ton of awesome workshops on weekends that they always list on their wall! One of Chicago’s local coffee roasters, Dark Matter Coffee, has several coffee shops around the city but Osmium is by far one of my favorites. I don’t frequent it much but it is seriously so perfect as a hidden getaway off of the Belmont Red Line stop. Just a few blocks east of it, it reminds me exactly of a modern day Harry Potter coffee shop. Something about it is very witchy.. Maybe it’s the logo but it reminds me of Hogwarts. P.s. they have almond milk lattes, really strong cold brew and an amazing selection of teas. Fact: I am really not a sushi person so you won’t ever really see sushi recommendations from me. I love poké bowls though and sashimi but since those two are usually much more pricey than normal sushi, I usually go without it. I crave sushi about 2x a year – no joke – so when I do, it’s nice to know there’s something in the neighborhood like Rollapalooza that I can go to and find several options. I haven’t been yet but I am DYING to try their black rice rolls! YES, they have black rice and they also set their rolls on fire. What I’d order if and when I go: Sashimi sampler appetizer, AA salad (it has a ginger peanut dressing and comes with beets, avocados and asparagus!) and the Martini Q (basically seafood in a martini glass topped with tobiko crunch). What’s cool about Werewolf is it’s basically a truck turned into a coffee bar. You inside of the shop and just see this massive truck with a menu hanging above/inside of it. They offer teas, numerous coffee selections including a mocha latte and 3 different dairy-free alternatives AND rotating pastries from local bakeries: Floriole (my absolute favorite) and Firecakes Donuts. This place has been on my list of must-go-to’s for seriously at least two years. It’s west of the city but reminds me of a cute little diner with all of the breakfast options. As I’m sure most of you would guess from the name, Hash has tons of hashes ranging from vegetarian options like “the chickpea” (with tzatziki and crispy kale) or the “pork bubble and squeak” (brussels sprouts, sweet potatoes and pork shoulder). They also have sandwiches and breakfast odds and ends like texas tacos! This Wicker Park casual eatery offers you some of the best quick and simple greek food. It’s right under the Division blue line stop and has the brightest environment if you’re looking to take a good photo of your food. I love how many unique dishes they offer from zucchini chips with tzatziki sauce to avocado hummus and braised lamb pitas. Greek/mediterranean food will forever be one of my favorites and this place totally reels me in! My roommates have been before and have raved about it, especially their mini greek donuts. One of the first restaurants I ever attended for a press/compensated brunch as a blogger and ever since I’ve brought family and friends here countless times. Their dinner is just as good as their brunch and trust me when I say you must get one of their unique cocktails like their “Love & Haight” gin-based drink. The restaurant is a bit darker inside for a moodier feel and right next to Mindy’s Hot Chocolate if you swing by Presidio for dinner, head to Mindy’s after for dessert. What I recommend: Their brunch menu by far! The benedict with a poppyseed bagel, the french toast or breakfast burrata. The perfect place to bring family (especially if you have kids with you) but when you still want healthy options. This place is one of my absolute favorites because not only do they have multiple locations in the city which is ideal depending on what hotel you’re staying at if you’re visiting OR if you just live in the city, but they have an avocado toast with CHICKPEAS. Obviously I’m into it. Their savory list of items is just as extensive as their sweet (including cinnamon rolls, an acai bowl and a chia pudding). I usually keep things basic when I go here and order an omelette or scramble. Ps they have almond milk AND smoothies! This is a go-to for me any time I’m in the River North area. The café is located at the bottom of the Freehand Chicago, a hostel hotel that is a mecca for hipsters. Their coffee is pretty decent but it is a great spot to get work done due to the dim lighting and comfy couches! They offer a small menu of breakfast items too like avocado toast, in case you need a little pick me up for breakfast. Now that you guys have ANOTHER list of some of my favorites in my beautiful city, let me know which ones you go to and which ones you like/enjoy! It literally makes. my. freaking. day when people stop me in the street and tell them they tried something I recommended or when you send me a message SO DO IT. I hope you all have a wonderful day and enjoy! Last week I ventured to California and spent seven whole days in one of the most magical places, in my opinion. The best part of it all was that the whole week I was there I was with people that a year or two ago I had no idea who they were. All of them I met through Instagram or my blog and we had connected over health, food and wellness. Isn’t that magical how the internet can work magic like that? I left on a Sunday and came back the following with a whole new perspective on how much I appreciate where I currently live (Chicago), how much I love meeting new people and realizing my passion for what I do and spreading the love for small businesses /products/companies. I booked this trip back in December on a whim. There wasn’t even enough money in my bank account for a round trip ticket so I bought a one way and knew I’d figure out the trip back in due time. It goes to show, all you really need is a ticket TO your destination and the rest will fall into place. While the trip was somewhat centered around Expo West – a natural and organic food convention in Anaheim, CA – I knew I wanted to explore as much of LA beforehand which I’m so happy I did considering most of my friends who went to Expo ended up in Newport Beach and went to the same 2-3 restaurants. I love exploring and knew this was the perfect time to do it. Because there’s just too much to say about my week in one post, I’m splitting it up between this and a post solely dedicated to Expo West which I’ll write later in the week, chatting about how it went and my favorite products from it. For the first half of my trip, I traveled with my go-to travel companion and blogging best friend, May, and we stayed with our friend Connie. She is the most real, down to earth, fun and energetic person I’ve met through blogging and am so glad we’ve formed a friendship through this crazy world of social media. Within 5 hours of being in LA, we drove straight to grab Alfred Coffee and followed it up with a hot power yoga class at one of my favorite studios in the country – Y7 Studio. Y7 is a New York based hot yoga studio that sets themes all of their classes to hip hop music but the best part of it is that each flow begins with soft, calming music and then once the actual sequence begins, your instructor will blast anything from Biggie to Drake. It’s such an experience. Candlelight, super hot and just all around bliss. After yoga, we ventured to one of the top spots I was most looking forward to: Gracias Madre. For those who are familiar with Café Gratitude (a hot restaurant in California that’s all plant-based), Gracias Madre is a sister-restaurant of Café G. All mexican-inspired, vegan and filled with hearty plant-y goodness. And a ton of black beans. As most of you know, If I could survive off of one meal for the rest of my existence, it would be tacos. Therefore, I knew I’d probably love GM. However, I was so so so under impressed. Maybe it was because May, Con and I split three meals and I had been starving from yoga so it just wasn’t enough but it just wasn’t that great. Each meal primarily consisted of black beans too which are super hard on my stomach, therefore I was like uhhh what do I eat WITHOUT beans!? Help! I will say though that they’re fried cauliflower is sent from heaven. I could have eaten a bucket of it. Going off of the Gracias Madre theme, the following day (and I went back Thursday night too) we went to Café Gratitude in the LA Arts District and it was as dreamy as I remembered it to be when I went two years ago. Best part about traveling with your best friends who are foodies? You can always order for each other and split dishes. May ordered their portobello bbq sandwich (called the “I Am Committed) on ciabatta and I ordered the “I Am Glorious” which was a tempeh caesar wrap with coconut “bacon”, brazil nut “parmesan” and a caesar dressing made from cashews. Entirely vegan and dairy-free. Basically think a veganized BLT in wrap form. So good, I died and went to heaven with one bite. Another gem at Café Gratitude I absolutely had to try was their vegan and gluten-free cinnamon roll the size of my face. No joke. I can’t tell you the last time I had a cinnamon roll just because I never trust the ingredients and how they make you feel but this one was just a miracle. Is it just me or does anyone else only enjoy the cinnamon rolls for the gooey center? I literally ate the center and gave the “crust” to Connie and May. Let’s be real with each other, what’s the point of a cinnamon roll if it’s not gooey all the way around!? P.s. Don’t buy this unless you want to drop $8 on a cinnamon roll. But also, if you don’t want to spend that money… do it anyway. Day 2 of LA consisted of two of my favorite things: Honey Hi and Blue Bottle Coffee. Both were located in the Echo Park neighborhood of LA and little hole in the walls. I’ve known about Blue Bottle for the past two years and first tried it at the Soho House in Chicago. Unfortunately they no longer sell it in ANYWHERE in Chicago (from what I know) but they make the dreamiest brewed coffee I’ve ever tasted. May, Connie and I went there and grabbed lattes right after devouring in the tastiest avocado toasts, a chocolate chip cookie, coconut milk matcha lattes (not sweetened!) and a turmeric egg salad bowl. The best part about 90% of the coffee shops and little cafes in LA is that all of their matcha lattes are UNSWEETENED. And also made with ceremonial grade and/or organic matcha tea, so you know it’s pretty high quality stuff and also tastes delicious. I was the only one to order a bowl since I’m a firm believer in trying something off of a menu you can’t or normally wouldn’t make at home and to me, avocado toast can be made anywhere by anyone. But the “breakfast bowl” I ordered was so complex. A turmeric pasture-raised poached egg? Sweet potato hash? Bacon from a local farm? Yes please. The one thing about LA is that it is primarily plant-based and vegan if you’re looking to eat healthy. As you guys might know, I’ve been eating primarily pale0 (lots of meat, dairy-free and grain/gluten-free) since January and have been really enjoying it. Therefore the whole vegan thing doesn’t make me feel my best always. May loves her meat just as much as me so mid-week we were SO ready to go to a simple café and enjoy some good sandwiches. Enter: Joan’s on Third. Classic I ended up getting a veggie one filled with hummus and we split a bowl of roasted red peppers BUT I ordered a side of two huge turkey meatballs. You guys… the meatballs at Joan’s were BLISSFUL. Aside from tacos, I’m a huge meatball fanatic and especially when they’re turkey. Ah! So much yum. Oh and if you didn’t see it on my Instagram or Snapchat at the time – Will Ferrell, aka Buddy the Elf, walked behind me when we were sitting outside and then I selfied with him sitting behind me while I waited in line for the bathroom. Yup. When someone asked me recently what one of my favorite restaurants was in LA, I immediately said The Springs in downtown LA. It was a large space filled with a juice bar, a mini boutique, a wellness space, and yoga studio far in the back. It was extremely bright (as you can see), filled with greenery, somewhat reminded me of an Urban Outfitters and had the best. food. ever. I ordered kelp noodles with a carrot pad thai sauce that literally blew my mind. Kelp noodles are basically noodles made out of seaweed that take on whatever flavor they’re paired with but have a light flavor since they’re pretty much just seaweed and water. They have a crunchy taste and I absolutely love seeing them on restaurant menus. If you stop here anytime soon, get their golden milk too! It’s a homemade turmeric milk made with almonds and honey but is barely sweet. May ordered it and I am so mad at myself I didn’t order it too. Next up for favorite meal in LA and one of the best spots was Bondi Harvest. I was dying to go here all week after Christina mentioned it to me and despite the 45 minute Uber there… I was ALL ABOUT IT. May and I split their salmon tartine with citrus, dill, pickled fennel, radish and hardboiled egg and then we each ordered bowls filled with fermented veggies, seaweed, avocado, cabbage and cauliflower rice. May’s had a chimichurri sauce and mine had a soft boiled egg and turmeric quinoa. It’s like I was eating a rainbow for lunch. A random little adventure May and I took was treating ourselves to this juice flight from Juice Served Here, a California-based juice shop serving housemade juices, nut milks and they even sell vegan lattes (a blend of cold brew + their homemade “cream party” nut milk made of coconut cream). I’m not a huge juice person, actually not a juice person whatsoever, but it was a fun experience. The flight was a mini serving of 10 of their top juices, including our favorite: Field of Greens. Most people aren’t brave enough to down a whole green juice (no fruit) but I think it is so refreshing. Last but not least, I’m rounding out this post with three more favorites from the trip that if you go to L.A. you MUST go to. By Chloe in Silver Lake next to the Whole Foods’ 365 Supermarket. What I recommend to get: Kale Caesar Salad with brazil nut parmesan cheese (aka cheese made from nuts), homemade croutons, avocado and mushrooms with a housemade vegan caesar dressing and the Guac Burger with a black bean-sweet potato-quinoa patty and their out of this world chipotle aioli. What you absolutely MUST get: the air baked sweet potato fries with their beet ketchup. But get your own. Don’t share. Trust me on this one! Before I went, someone messaged me on Instagram and told me that once I ate at an Erewhon, I’d think that Whole Foods would look like Denny’s. Yep, that was a pretty accurate statement. Erewhon is an organic, upgraded version of Whole Foods filled with all organic produce, homemade nut milks, every kombucha you could think of and a prepared foods section that will blow your mind. The first day I went, I ordered an almond milk latte with homemade nut milk that was maybe $7 and 90% ice… sooo don’t waste your money on that. However their breakfast bar is PHENOMENAL. They don’t use canola oil but they do use organic eggs, every veggie imaginable and even have pre-made tartines and paleo bread. It’s insane. This. place. While everyone and their mother raves about Pressed Juicery’s freeze in California, Yoga-urt is the REAL DEAL froyo. It’s a small shop located in Glendale, outside of LA, where they use almonds and cashews to create a creamy, dairy-free frozen “yogurt”. When I went with Connie and May, we went TWO nights in a row because it was that good. My favorite flavors were the green tea, peanut butter, strawberry and tart. Basically half of the menu. The toppings were the best part: mulberries, cacao nibs, and turmeric ginger granola. Alongside fresh fruit and they also make a homemade chocolate shell with cacao and coconut oil. Insanity. It’s so thick, so creamy and worth every freaking penny. Along with all of the food, matcha, espresso, snapchats and Will Ferrell appearances pictured above, I also had the saw Conan O’Brien at breakfast in Brentwood, did wheel pose on a hike overlooking downtown LA and even hosted a SoulCycle class (which I can’t wait to talk about in an upcoming post).